Become data empowered to make better business and operational decisions! How many days it takes to process a single invoice? 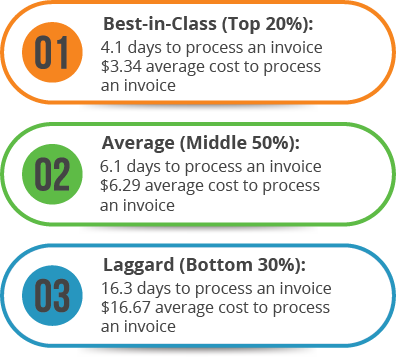 What is the true cost of processing a single invoice? What do I owe for utility expenses? How much is my Parking and other fees? 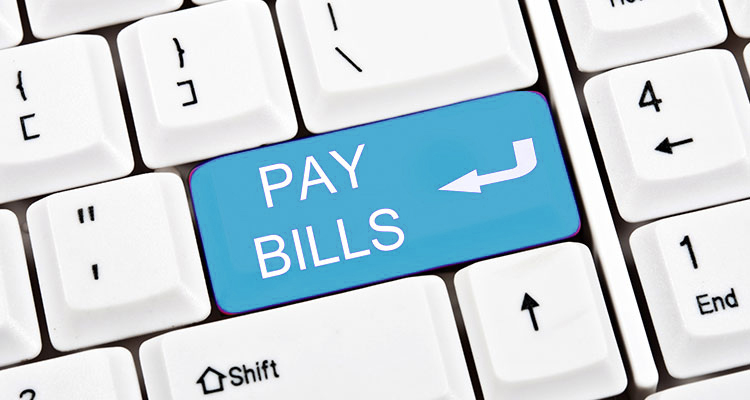 When is my bill due and who do I pay? 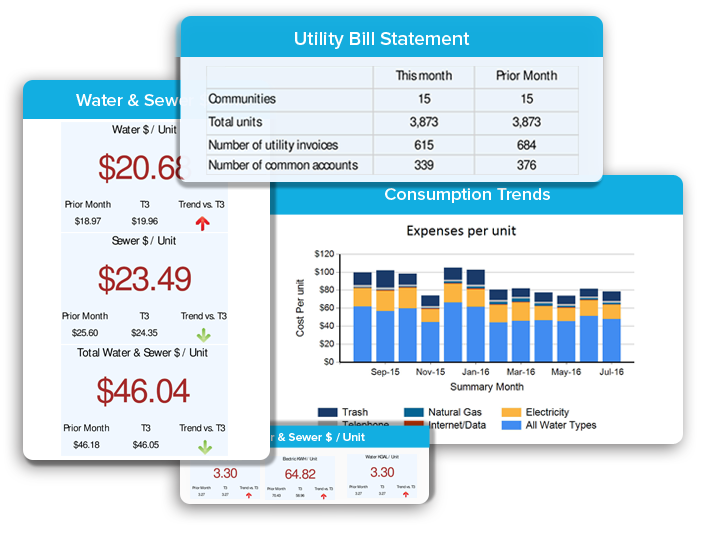 Our experience in utility billing goes back to 1996. 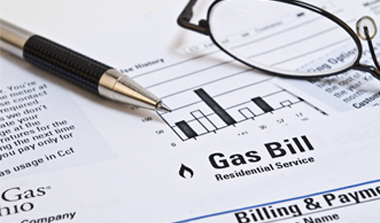 We have led, innovated and perfected many processes that are key to sending out timely and accurate utility bills. 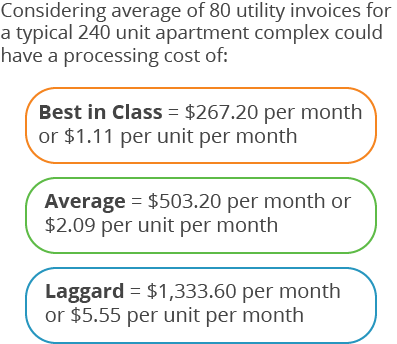 We have one of the highest % of bill amounts in the industry due to lower fee structure. Decreases operating expenses and ultimately increases cash flow, NOI and property valuations. Equivalent savings of 1.3 to 3.3 cents per Kwh on your current rates. Identifies utility theft in days, not months—allowing your staff to take fast action. Limits liability by allowing you to disconnect violators quickly. Automatically notifies residents of delinquencies and pending disconnects. Gives your staff ultimate control, with no extra work (we do it all). Provides three opportunities to save: at move-in, mid-lease turnover, and move-out. Often residents fail to enroll for electricity and gas service in their name. 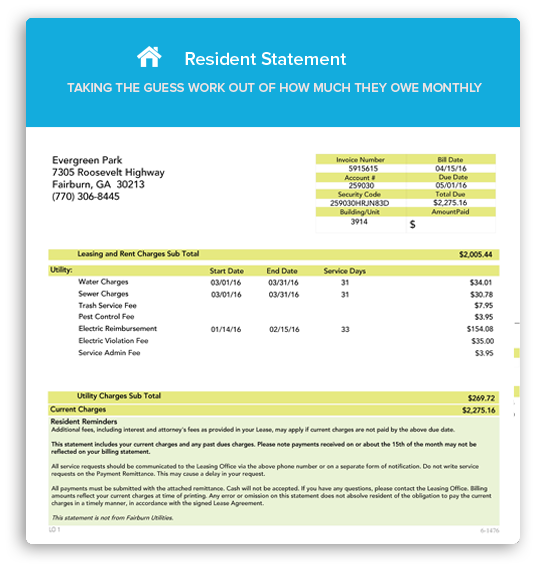 With our leading VCR technology, we will identify these residents, calculate what they owe and put the charges as a line item on their resident statements each month. 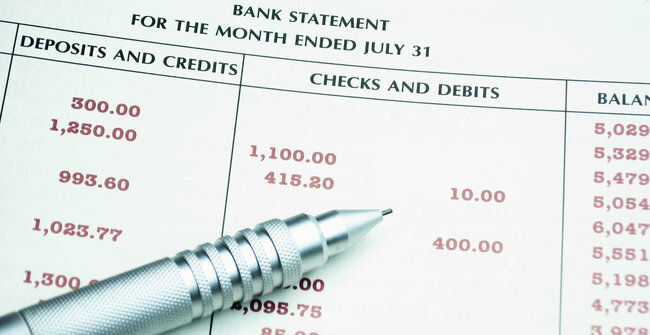 Let us make your bank statements available to you fast, easy and more efficiently. Monthly statements from Bank of America, Wells Fargo, and other large financial institutions are electronically and automatically downloaded and made available to your accounting department each month saving your back office staff valuable time. BluTrendPay is revolutionizing payment processing for multifamily management companies. Our leading-edge platform cuts costs, increases visibility, and streamlines the payment process.